I’ve known for some time that I wanted to do a pink and gold custom setup for Bailee’s cake smash. That combination of colors is so beautiful and was really perfect for Bailee. I had the pleasure of working with Simply Savored Sweets for Bailee’s birthday cake. 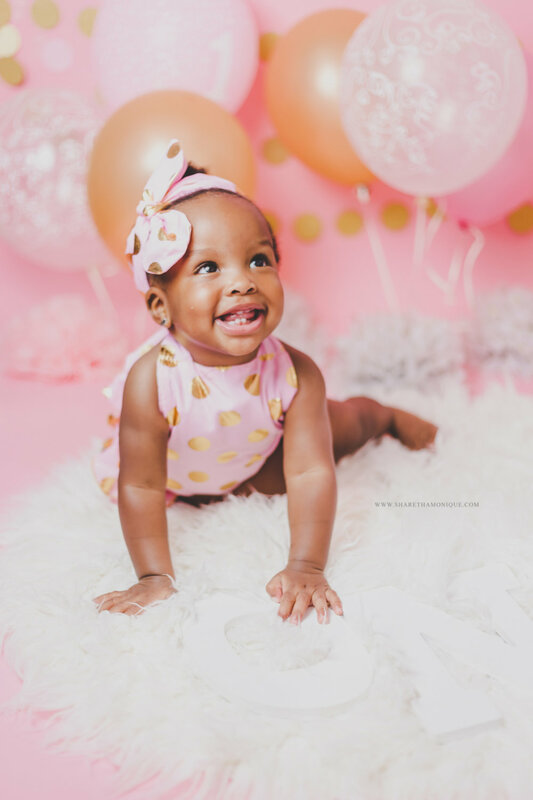 Here are a few of my favorite shots from Bailee’s custom first birthday cake smash session. 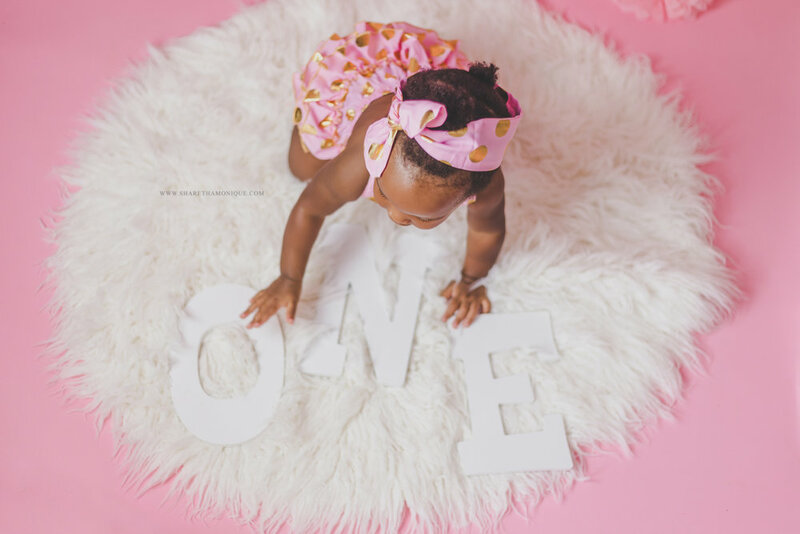 She had an absolutely wonderful time during her session, and these precious photos will be cherished for years to come. 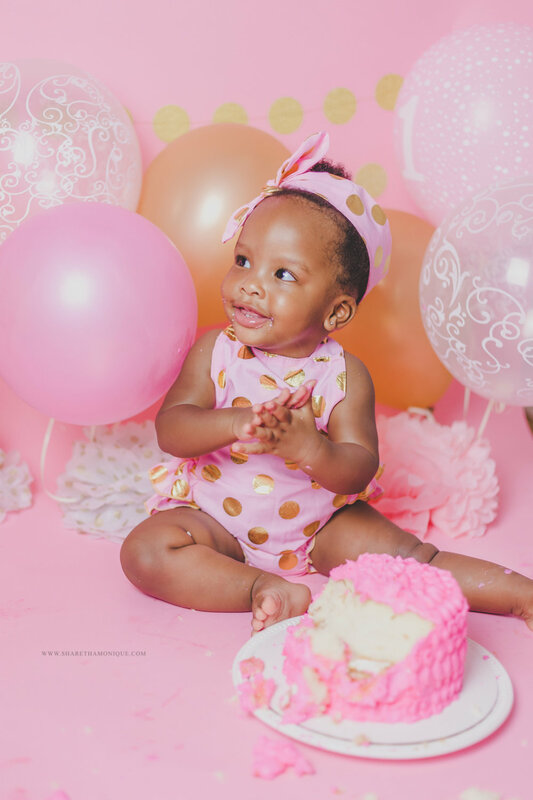 If you would like to schedule your own first birthday cake smash session for your little one, please contact me! I’d love to create a custom session to commemorate this milestone.